As a owner operator, John says he will treat your roof like its his own, and takes great pride in his workmanshi­p. John Houben started his own Cleaning business along with Repairing and Coating of Tile Roofs in September 1989 at the age of 20. That's now 29 years of business. *REPLACING BROKEN AND CRACKED TILES AND RIDGE CAPS. *GLAZE TOP COATINGS Any Colour of your choice and a 10 year guarantee. I use Wattyl / Taubmans products. For a no obligating FREE quote ring: JOHN HOUBEN today. Deal direct with the owner operator, cut out the middle man, giving you the best job at the best price. Really happy with repairs and new paint job on our roof.It looks brand new.Very professional service. Thanks John. just had our tile roof cleaned, repaired and repainted by John. very pleased with the service and quality. Thanks John! Roof was cleaned, mortared and painted which I think was a reasonable price. 100% satisfied with the quality of the finish, best part it's guaranteed to last for 10 years! I used John to restore my roof back in 2011. Roof was a concrete roof and over 50 years old. John did an amazing job and it has held up nicely. John is a top bloke and highly recommended. john houben: thank you for that . i appreciate it. john houben: Thanks very much. Very fast response and job done on the same visit at reasonable price. Thank you John. I highly recommend John for roof tile repairs. Not only was his quote so incredibly reasonable, especially compared to the others, he was also very honest about the state our roof was in (unlike the others, some of which had quoted $4k more than John). John was also very efficient. I phoned him on a Friday, he quoted on the Saturday and then had gap before a big job so repaired our roof on the Monday. 10/10 service!! Highly recommended…..thanks John! john houben: thank you cath for the great feedback. 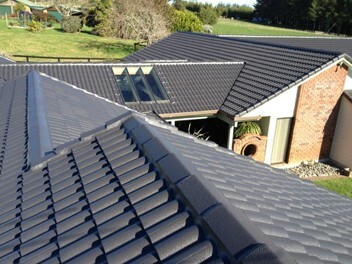 Nice roof painting, very fast response and reasonable price! Thanks John for your fast response to come and check my roof, unfortunately it need replacement and John could not help with it but he had the time to visit and provide feedback of what was needed. john houben: Thanks for that. john houben: Thanks for that guys. Replaced the broken roof tile today. Great service. Arrived when he said he would, great communication and feedback, and very fair price. I would highly recommend John. john houben: Thanks for the good feedback mike.